My intro to Nick Knite came in the form of two very loveable monsters, Evil Icy and Tongue Toastie. 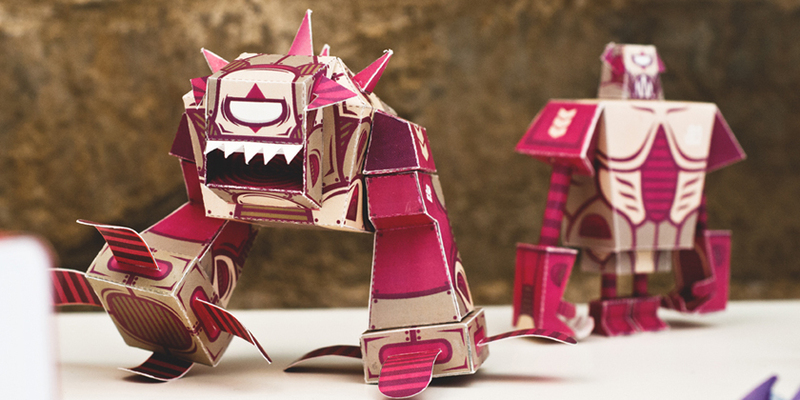 These two creatures were a part of the awesome book, Papertoy Monsters, a cornerstone publication for us paper fiends out there featuring Nick and 24 other artists. In my pursuit of more toys from the designers in this book, I then found Nick's signature toy, Mechabunny, and I've been a fanboy ever since. 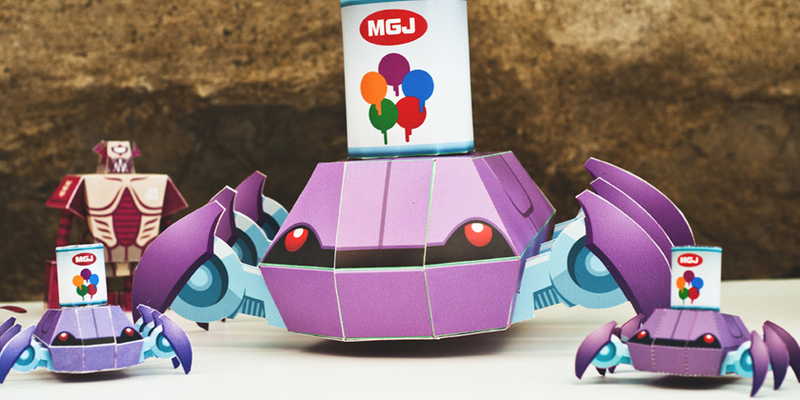 Well Nick has his own book now, and like Papertoy Monsters, his is a collection of toys from some of the game's best. And the best part? It's robots! The artist list is a collection of some of my favorites, the designers who contributed to my love of paper toys. 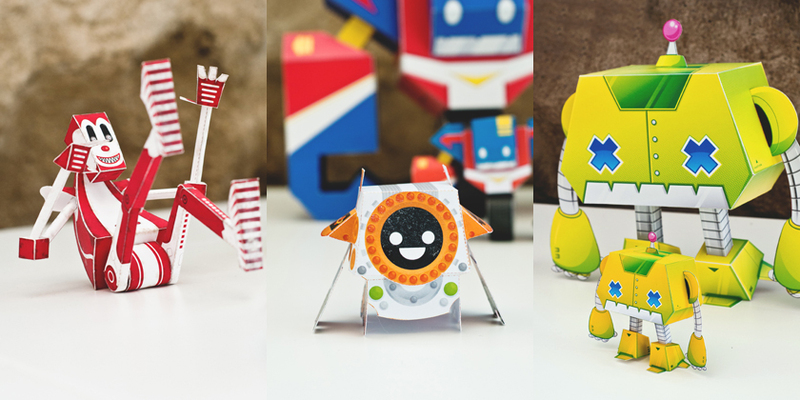 Included are toys from Tougui, Dolly Oblong, Marko Zubak, Shin Tanaka, Matt Hawkins, Abz, 3eyedbear, and even some from the curator himself, making this a must-have collection for any paper toy fan, or robot fan, or hell, any fan of cool amazing toys. 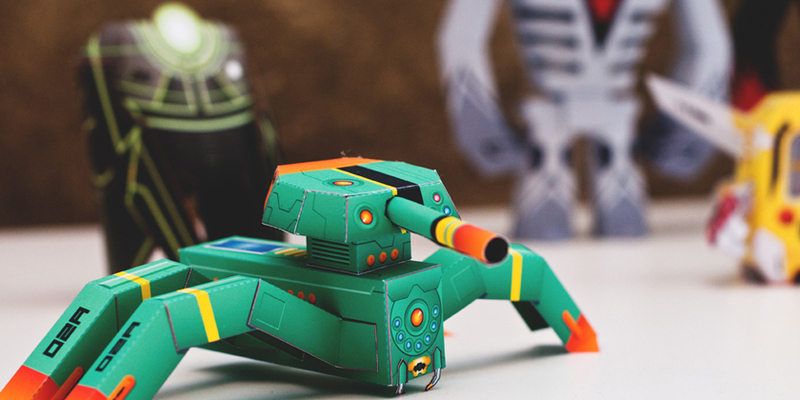 The book isn't just about the toys, it has; a great intro by none other than Andy Heng, back stories for each 'bot, and instructions for better toy making, all making for a great read before you even get to the art of cut fold glue. Q1: What (who?) is the coolest robot of all time? I think my first idea and answer to that would be Data from Star Trek, i always liked that character and his struggle to be as human as he can. Also his strength and brain-power make him the best in my book. Although the "coolest" one would be Futurama's Bender Bending Rodriguez! I also really like Marvin from "The Hitchhiker's Guide.." and the coolest real robot is ASIMO by Honda.. man, how I would love to own one of these!! Q2: Do you have your contingency plan in place for when Skynet goes online? I am still working on that survival guide for myself. So, if they could take some more time to go online..that would be rrrreally nice. Thanks! Q3: What's the one human quality all robots should have? Q4: What's the one robotic trait all humans should have? Also a tough one... be more rational, logical and unemotional, that would mean less wars and less fights amongst other things, but would also take a lot of fun from being human and making mistakes and learning from them. But maybe that is one thing that could be good, "learning from mistakes", filing it under failures and never doing them again. Q5: You put a lot of time and passion into the book, when did that moment arrive when it was all worth it? I think it already started being worth it, when I received the first bots for the book from the artists involved. It got better with each one of them, because they are all so different and unique. But of course, when i got the first print of the book and saw that it turned out the way we had hoped for, that was indeed the best moment to me! If you're interested in getting your hands on this most decidedly awesome collection of robots, you can get it HERE. By visiting that link, in addition to purchase options, you'll also discover a few free teaser toys for download.